A bystander has caught video of a mysterious floating fireball that appears to hang over the sky in Argentina. 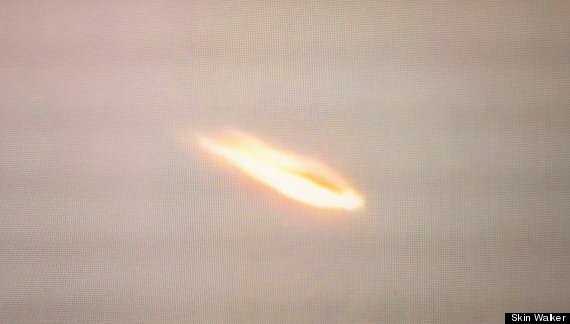 With no explanation available many are claiming it to be a UFO. The video was actually taken at the beginning of January but has only just been uploaded onto the internet. According to UFO Sightings Daily, local residents in Frías spotted the fireball and at first believed it was nothing more than a meteor. Of course meteors move at very high speeds when entering the Earth’s atmosphere and so tend to appear and disappear in seconds. UFOs come in many shapes and sizes, from your ‘classic metallic disc’ that has a tendency to float above well-known landmarks, to your less common ‘fiery ball of death’ UFO which appears, burns very brightly and then promptly disappears. There are usually explanations for all of these, and in time, one will probably present itself for this one too. Until that point however we’re none the wiser and neither is everyone else so watch, enjoy, and relish in shameless speculation.